Apart from unveiling its new Pixel smartphones, Google has launched its new pair of wireless in-ear headphones that double as your personal translator, the Google Pixel Buds. Comes integrated with Google Assistant, the Google Pixel Buds would surely change the way you see wearable devices. However, the smartest earbuds work perfectly for Android smartphones, as it works like an ordinary headphone if you’re using an Apple device. The Google Pixel Buds feature real-time one-to-one language translation. With this, users will be able to understand 40 different languages. Also, the translation will only process for up to two seconds. To use this feature, users just have to touch and hold the right earpiece, and say which language you’d like to talk. The wireless headphones let user to make calls, play music, and get directions by simply touching and holding the right earbud, as well. 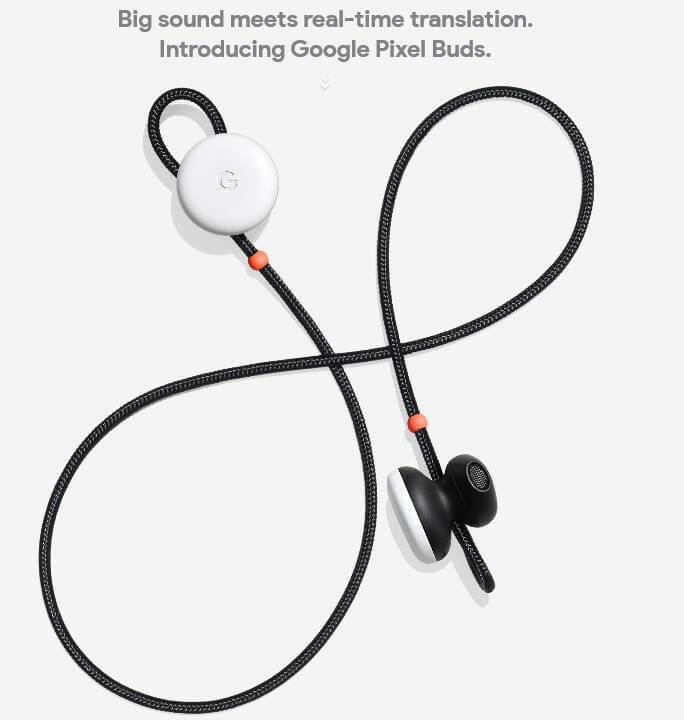 The Google Pixel Buds will work on Android 5.0 Lollipop, and iOS 10.0. However, to utilize Google Assistant, your smartphone must be operating Android 6.0 Marshmallow or higher. See Also: Google Pixelbook Is Now Official; Chromebook Redemption? Meanwhile, it comes with a charging case to provide 24 hours of playback when fully charged. The Google Pixel Buds will come in three color variants: Just Black, Clearly White, and Kinda Blue. It will be available in U.S starting in November for US$159, or roughly Php8,110. You can now pre-order your own Google Pixel Buds starting today.